For over 20 years, Izodom has specialized in developing new solutions for quick erection of energy efficient buildings. 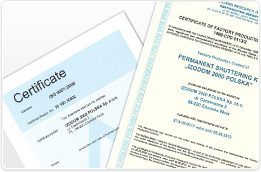 Proprietary, legally protected solutions applied in the Izodom forms cause that our technology is perceived as one of the most advanced in Europe. 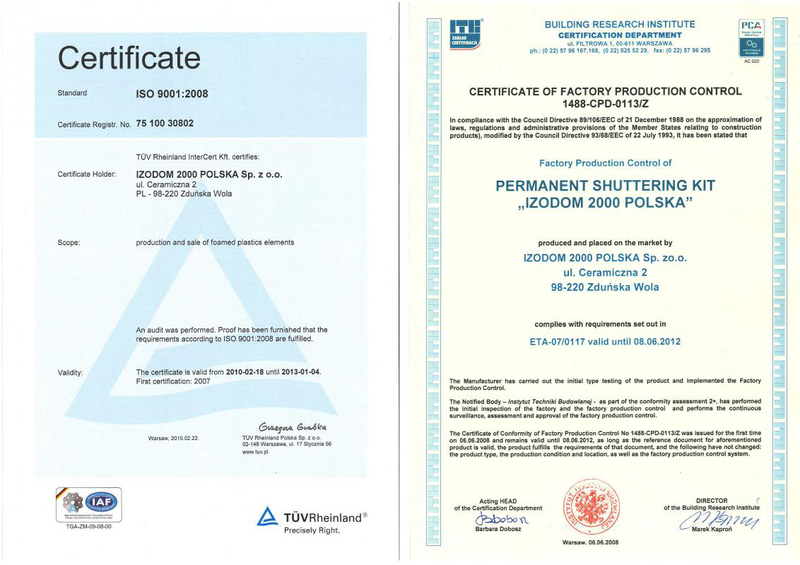 The proof of quality is EU technical and hygiene certificates, as well as the ISO 9001:2008 accreditation. Thanks to the top quality of products and materials, innovative technological solutions and timely deliveries, for over 20 years we have been a successful exporter to Western Europe, Scandinavia, Russia, Middle East, Australia and both Americas. Our innovative approach has won us many awards from satisfied customers and numerous organizations and institutions.